Let the sport division of Tourism Kingston help you plan and organize your next sports event. We can assist you with all of the finer details like bid development, marketing, venue coordination, accommodation and food services – plus much more. Tourism Kingston has experience preparing a variety of successful bid documents including: 2020 Tim Horton’s Brier Bid, 2019 and 2020 Canadian National Pickleball Championships Bid, 2020 World Broomball Championships Bid, 2019 Football Canada Cup Bid, and others. We will work with you to create professional, well-informed bid packages that showcase what the City of Kingston has to offer as the host city of your next sporting event. Sport Tourism Kingston will contact the appropriate accommodation providers in the city of Kingston to request proposals for your event. These requests can include a need for blocked rooms, preferred room rates, meeting rooms, banquet needs, etc. After proposals are received, we help you review and provide assistance with booking to suit your needs and the needs of your participants. Through our network of contacts we can arrange for you to get the best event facilities to suit your needs. Kingston has many state of the art facilities to offer for a wide range of sporting events. 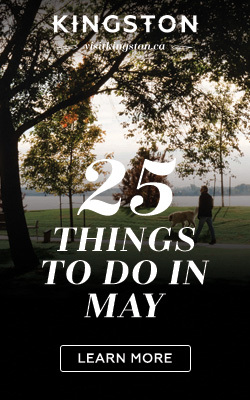 Tourism Kingston’s website can be used to promote your upcoming events, providing information with links to your webpage and detailed information. We also assist with ticket campaigns, media conferences and press releases. We can arrange for customized tours of potential accommodation and facility options for your event so you can see the space and its suitability in person. Kingston has a very vibrant and diverse culinary scene that we’re very proud of. More restaurants per capita than any city in Canada means that we’re equipped to suit all types of pallets, and we would love to assist you in coordinating your food service needs. Our trained and talented staff can coordinate everything from a smaller, intimate dinner for a group of 20 to a large scale dinner for 500. Tourism Kingston will help you to plan and arrange any transportation services that may be required for you and the participants of your sporting event while you’re in the city. We will gather letters from key stakeholders in your sports community and the City of Kingston to show how much we want to have your event in Kingston. 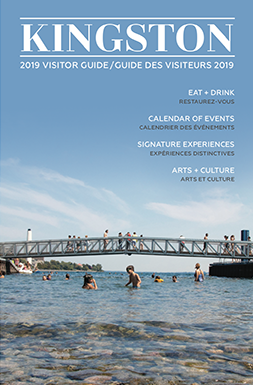 Complementary Visitor Guides can be provided to your participants with maps and information on local restaurants and attractions. A branded Tourism Kingston pop-up booth may also be available for display with visitor information at your event. Sponsorships and incentives may be available for your group depending on number of participants, time of year, level of play, and/or length of stay.